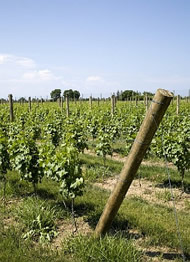 This Tour is designed for those who wish to visit Long Island Wineries. Long Island is 118 Miles long. The eastern part of Long Island is a fork. On the North Fork, there are over 22 Wineries to select from for you to enjoy wine tasting. The South Fork also has Wineries, however the majority of the Wineries are located on the South Fork. This Tour is usually 8 – 10 Hours; depending on how many Wineries you wish to visit. It’s all up to you. Pick-Up can be at your Hotel, a coffee shop, a store, or from a restaurant. Drop-Off can be either at your Hotel, or at a New York City restaurant. We are glad to recommend and make reservations, if you desire. Your Tour will begin by your Driver/Tour Guide pointing out on a New York City Map the Geographical Layout of Manhattan, the Boroughs, Neighborhoods, and Long Island. And then we customize a Tour specifically designed for you. Some of our Guests have purchased bottles, and cases of wine while visiting the many Wineries. A private wine tasting and lunch can be arranged at a Winery if you so desire. It’s a very enjoyable Tour and something you will long remember. Lunch at a Long Island restaurant can also be arranged. Some of our Guests have purchased bottles, and cases of wine while on this Tour. Please allow us the privilege of Touring you and your group throughout the interesting island of Long Island, while enjoying the many Long Island Wine Country!